Vuelta Ciclista al Pais Vasco - CyclingFever - The International Cycling Social Network - Get the Cycling fever! La Vuelta al País Vasco (Tour of the Basque country) is a bit of a paradox in cycling. 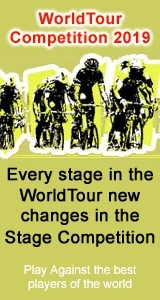 To insiders well known, but the masses won’t really know this stage race. This tour originated in 1924. As one of the first shorter stage races, this race is perfect to test the legs due to the many climbs in the route. Alas, this race fails to attract the big champions. One or two Tour the France winners, some promising riders and riders that just didn’t make it with the big boys, can be found on the all time leaderboard. In the first editions La Vuelta had a great start. It took three days for the cyclists to cross the Spanish Basque country and logically the mountains couldn’t be missed. The brothers Péllissier, together with countryman Charles Lacquehay, make up the first podium on august 10th 1924. Youngest brother Francis wins the first Vuelta al País Vasco by escaping the bunch in a huge solo to the finishline in the first stage of the race, thus beating his older brother Henri. The race has a yearly schedule, but the organisers have to decline for the first time in 1931. Apart from a brave attempt in 1935, which was won by Gino Bartali, the Spanish civilwar forced the organisers to suspend the race for many years. After Spain’s liberation in 1939, the race gets a new lease of life. From that period the race changes names a lot though, and the changes remain until 1973 when it’s got it’s present name back. From 1939 to 1942, and also in 1945, the race has the name of “Circuit du Nord”. The years in between, this race adopts another name: G.P. de Ayutamiento Bilbao. In the period between 1969 and 1973 the name changes twice again: Union La Vuelta al País Vasco and G.P. de la Bicicleta Eibarresa. Many nationalities were present in the earlier years of this race, which is clear when inspecting the winners list. Through the years though, the race got slightly more a Spanish character. The “foreigners” still entered the race but the Spanish riders seemed to have a better knack for the many climbs in the route. In the last decade that dominance has weakened somewhat, while champions like Rominger, Zülle and Jalabert went home with a victory behind their belts. Switzerlands’ Tony Rominger actually won it three times, but all time recordholder is Spaniard José Antonio Gonzalez Linares with four wins. For us, the fans, usually little is to be seen or even read about the Spanish stage race. At best a news bulletin is published. Since this race is part of the ProTour calendar, maybe the Vuelta al País Vasco can manage getting themselves into the spotlights more for us to enjoy. One thing is certain though, it’s a very attractive race and worth to be shown internationally.